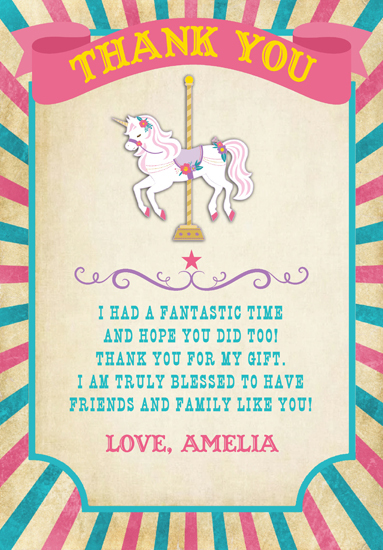 Carousel birthday party invitations are perfect for a carnival themed birthday party. These are perfect for a girl's birthday party. I can also personalize them for a boy if requested and will change up the color scheme. 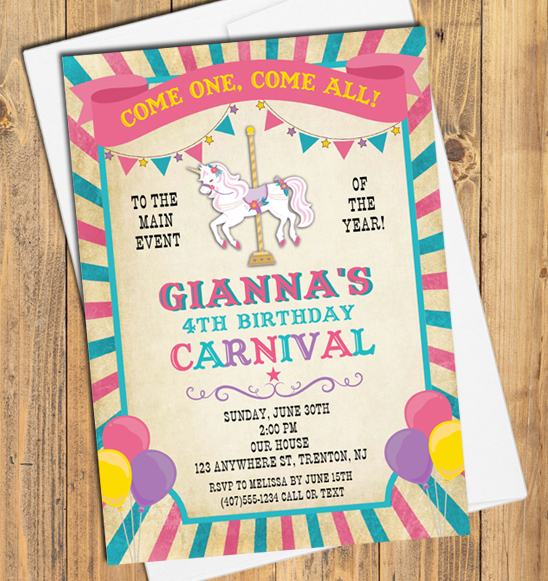 The invitations are printed using a high quality laser printer and are affordable and of outstanding quality!